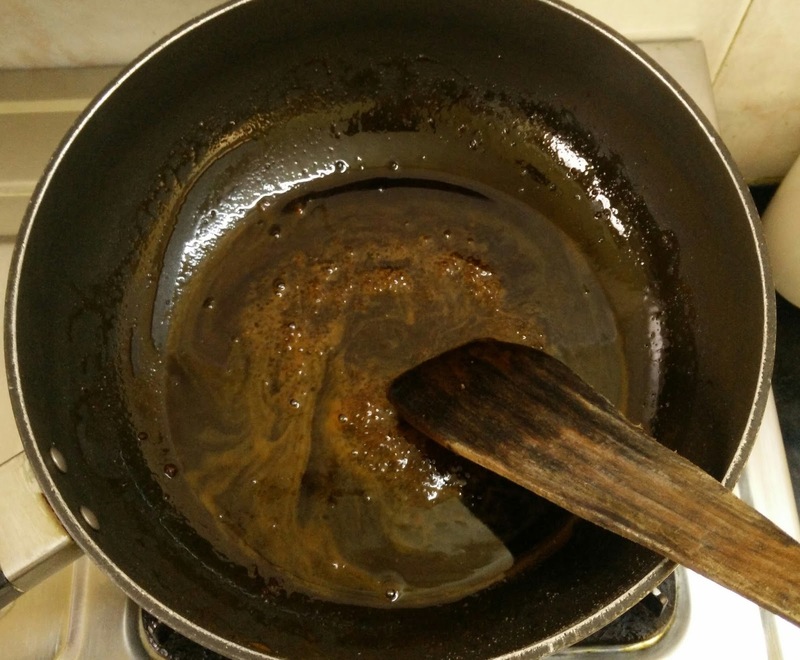 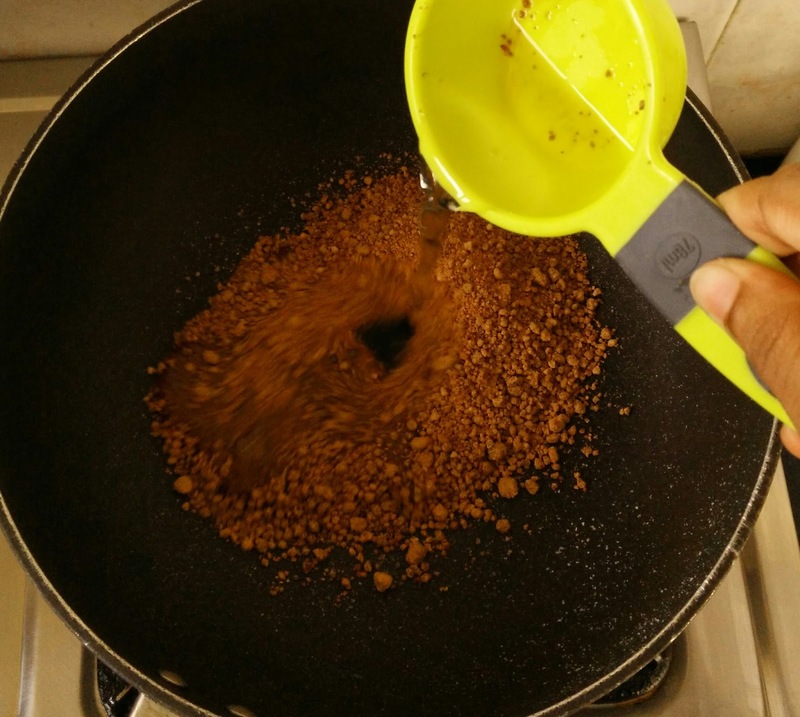 Heat a non stick pan , add jaggery and water to it . 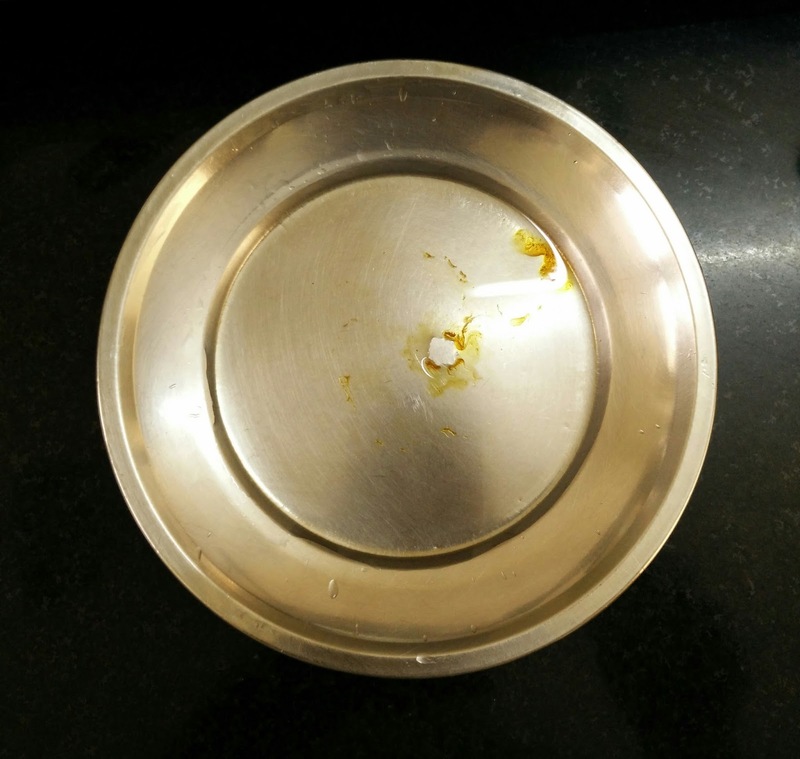 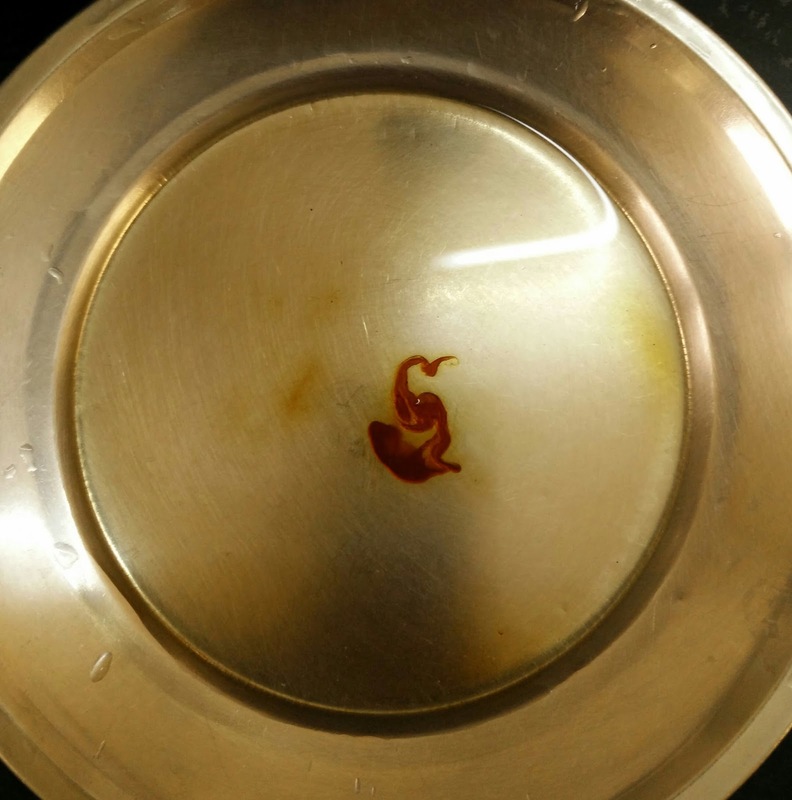 [ if your jaggery is not clean then you have to dissolve jaggery in hot water and strain it before this step]. 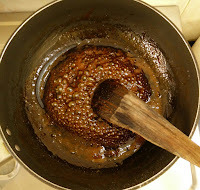 Bring the jaggery syrup to a boil keeping the flame in medium. You can add in tsp of ghee at this stage. 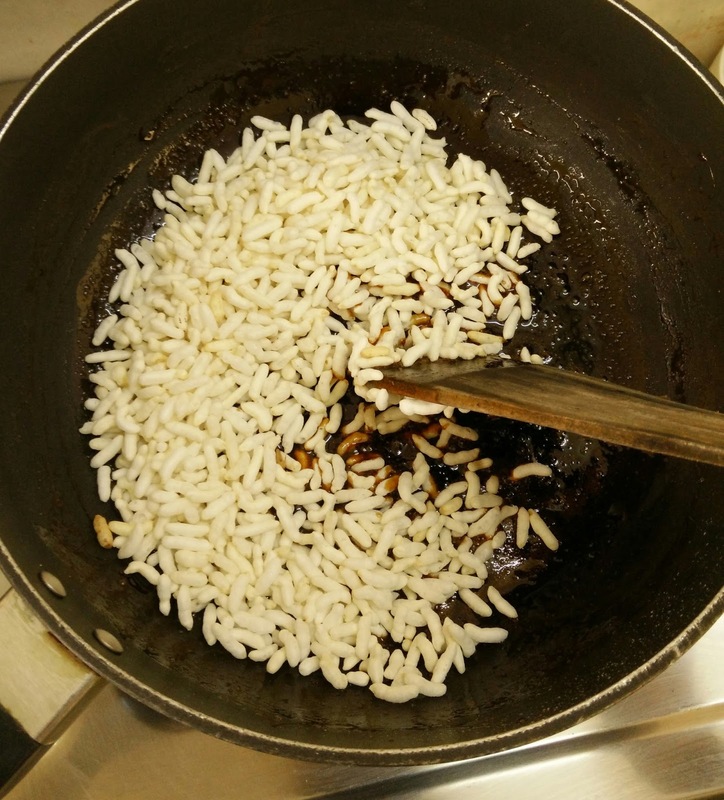 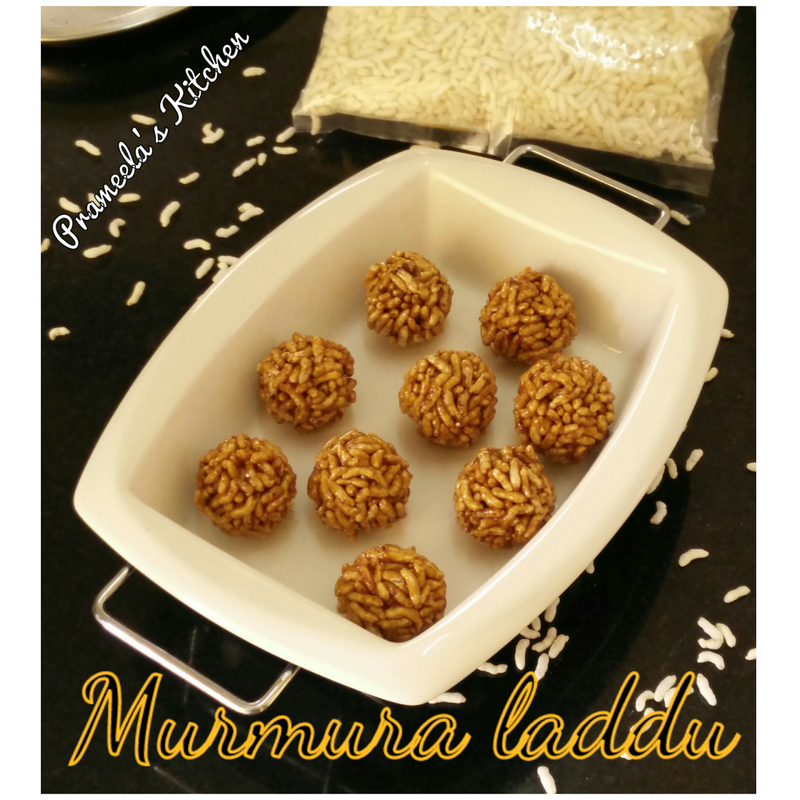 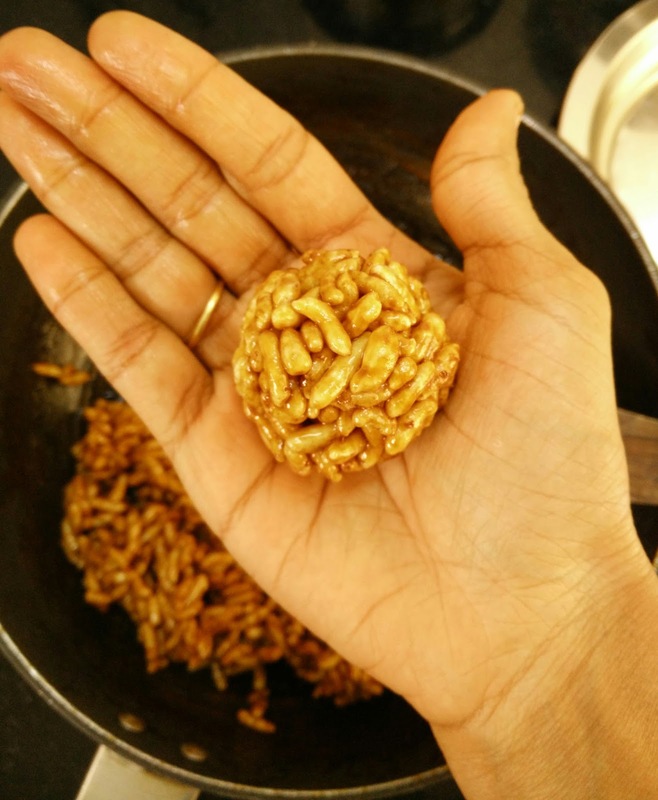 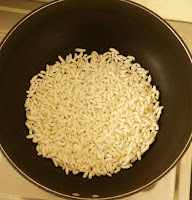 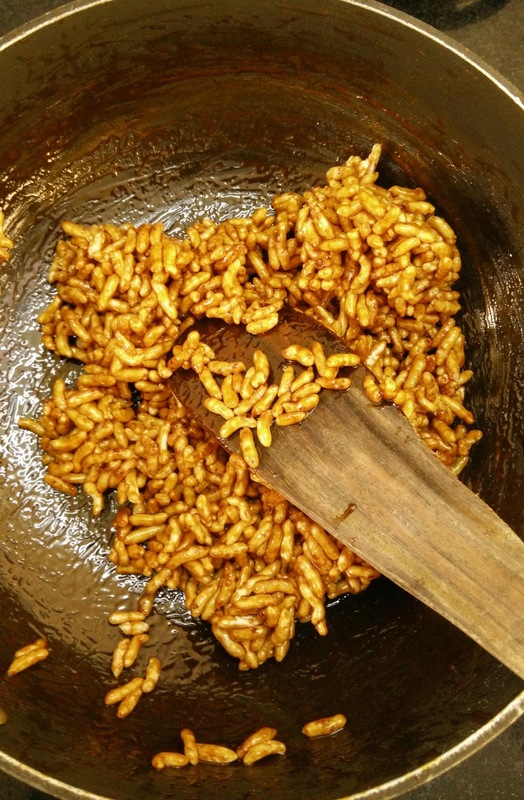 After you reach the right consistency of the syrup add in roasted puffed rice and mix well. 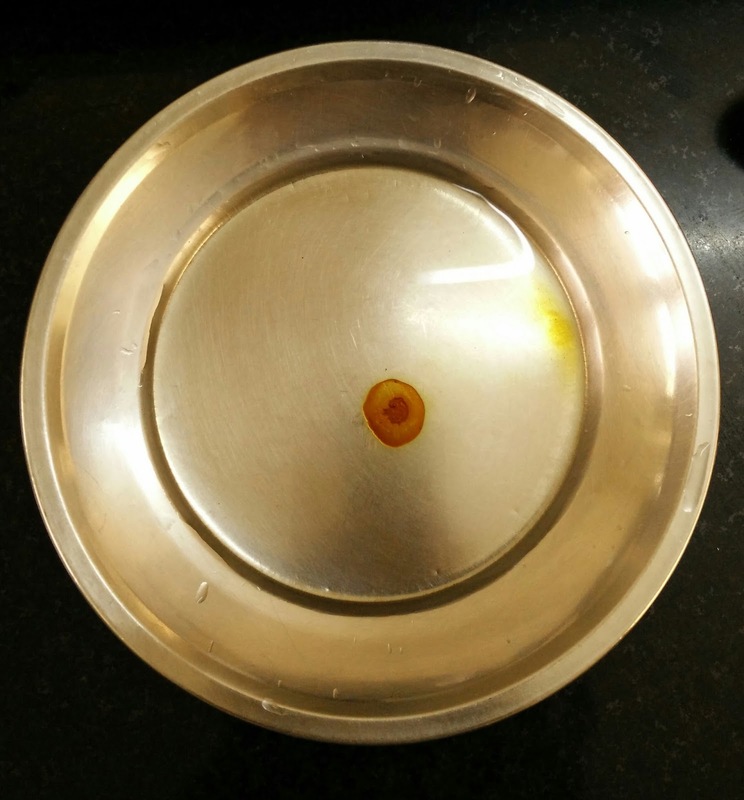 Switch off the flame.Grease your palm with little water and make laddus .